In part one of this tutorial I showed you how to load your photos, add them, and delete the ones you didn’t want to use. In part two of this tutorial I am going to show you how to edit your photos. When editing the photos, you will see that there is a lot that can be done to the photos. You can add text, clipart, and rotate the photos. Go ahead and click the first photo in the bottom panel. Then click the Edit Button in the middle toolbar. The Edit Box will open and you will see the three tabs at the bottom of the box. You will see the Info tab, Text tab, and ArtClip tab. Click the Info Tab. This is where we will start. You can enter a title for your photo in the top field. The second field you can enter a link. If you are creating this video or slideshow for your website, you can enter a link in the link field. When the photo is clicked, the person will be redirected to the page that the photo was linked to. The next field is the description field. You can enter a description for your photo in this field. The fields on the right are the transition fields, but we will cover that in part three of this tutorial. the letter A icons. This is how the text will look. Scroll the bar to view the other text styles. To use a style, click the style of your choice. Then click the Add Text button on the right. 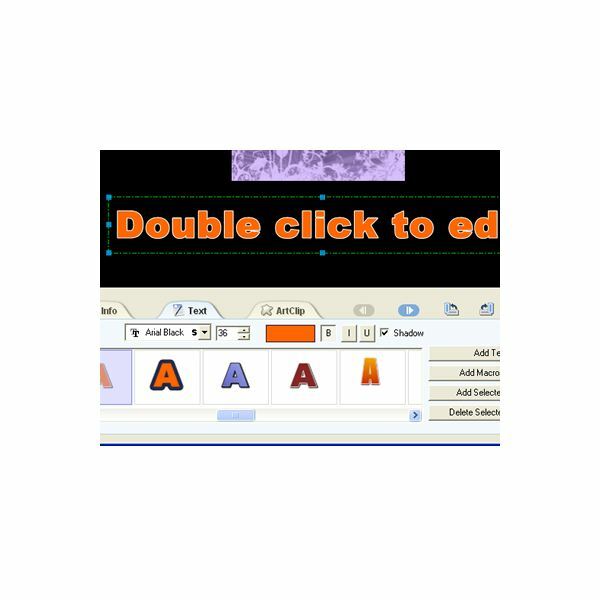 Double click the text box to edit it and type what you want. You can also change the font style and size before adding the text. To delete the text that you just added, click the text, then press the Delete key on your keyboard. To change the color of the text, click the color box. When the color box opens, you will see three options. You can use a solid color, a gradient, or a texture. Tick the field of your choice. Then click the box beside your choice and make your selection. 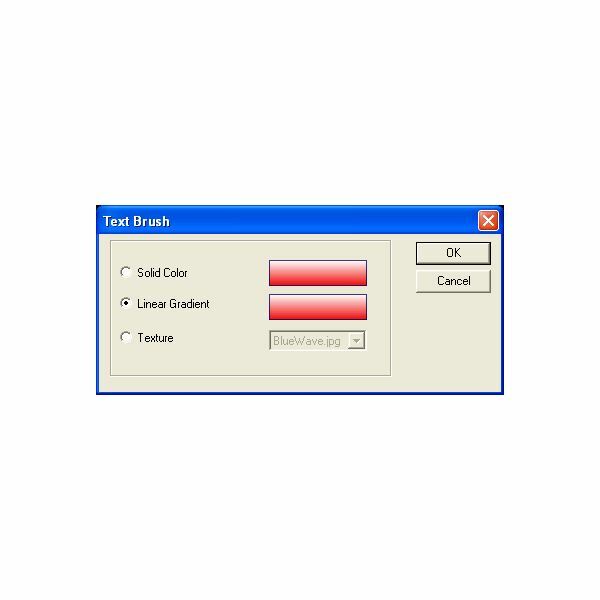 Click OK on the box to apply the text color and close the box. If you want to add the text that you just added to all of the photos, click the Add Selected to All button. the category box. Drop that box down and select a different category to view. To add a clipart to your photo, double click the clipart. 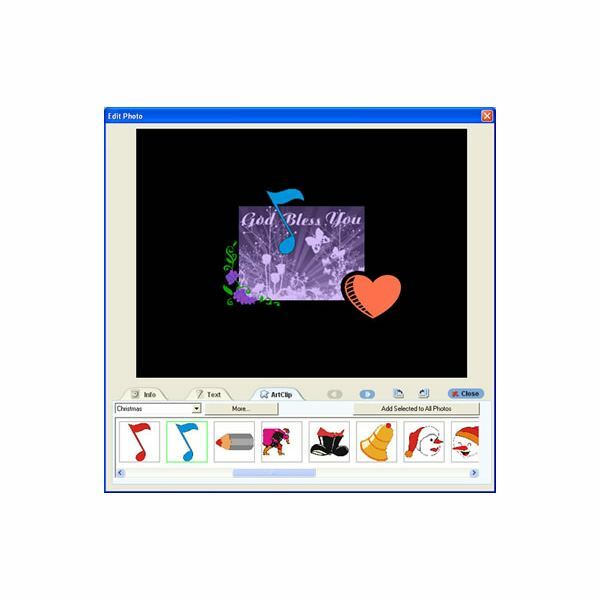 That will place the clipart on your photo and you can move it around with your mouse. You can also resize it by dragging the corner inward or outward. 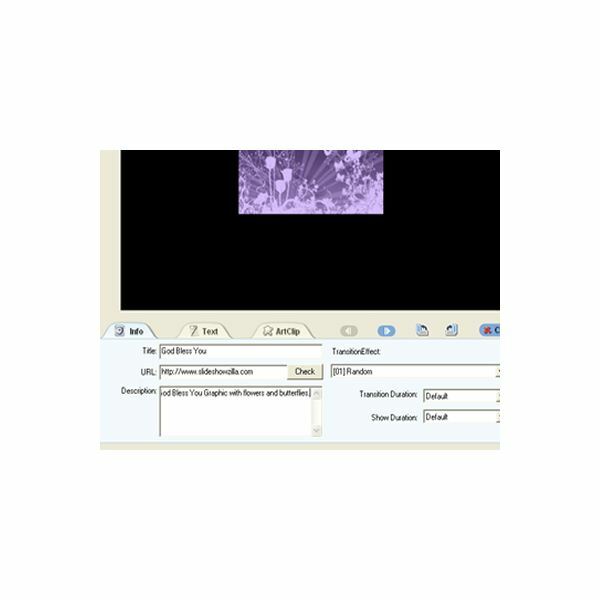 If you need to rotate the photo that you are working on, you can quickly do so by clicking the Rotate Icons below the photo preview. Keep clicking the icon until you get the photo the way that you want it. Once you have finished, you can click the close button. You will need to repeat the above steps for each photo. Once you have edited all of your photos, you can move on to part three of this tutorial. In part three you will learn how to change the transition effects, the delay time for each photo, and the captions for each photo. Slideshow Zilla is a program that allows you to easily create videos and slideshows using digital photos. This four part tutorial will show you how to create the videos and slideshows for websites and to burn on DVDs.